CJ Garrison (Mick Cain) is most assuredly not a disciple of positive thinking. Sally Sr.&apos;s (the late Darlene Conley) son continues to pour ice-cold Pacific Ocean water all over his cousin Sally Jr.&apos;s (Courtney Hope) dreams of reviving Spectra Fashions on The Bold and the Beautiful. Aunt Shirley (Patrika Darbo) is convinced her Sally 1.0-inspired plot to have granddaughter Coco (Courtney Grosbeck) intern (and spy!) on the House of Forrester will save the day. 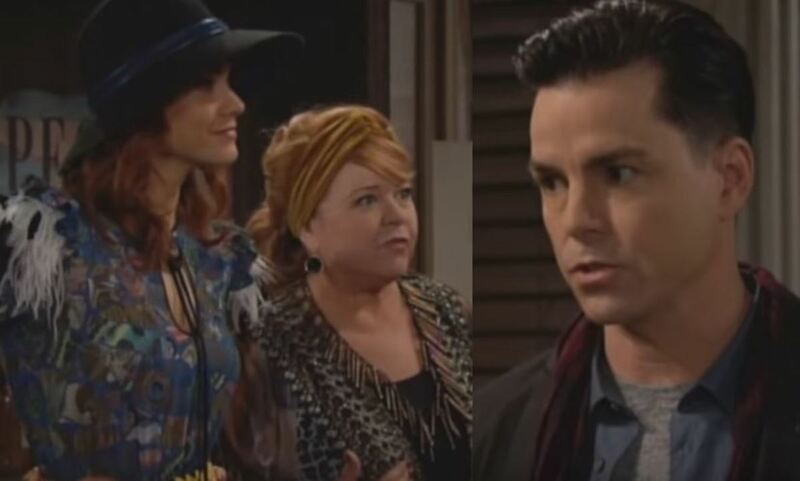 Could Coco&apos;s instant connection with Forrester heir RJ (Anthony Turpel) give her pause about committing corporate espionage? If not, prison should. Check out Wednesday&apos;s B&B sneak peek below.